Matterport Versus GeoCV: Which 3D Tour viewing experience do you like Best? I like GeoCV, but I cannot pay more than now (Matterport). Can you still make a tour with GeoCV? Otherwise GeoCV hands down. GeoCV is so smooth and I really love that they got rid of all the silly dots on the floor that make people look down and click on them. Even myself who has been doing this for 4 years now still clicks on the stupid dots. Is there an option for a guided walkthrough? For me that is what gaps a video and a virtual tour. It's hard to say without actually using it. I have no idea how long the whole process takes from scanning to client delivery with Geo CV. I also don't know what the quality of the still photos are that can be downloaded from Geo CV. If you're doing 30-40 scams a month, the Geo CV pricing seems reasonable...if not it may be too high. This is something I would want to try before I buy but since that doesn't seem like an option, I'll wait until it's been out awhile before I decide on which is better. I would also like to see what becomes of the patent infringement lawsuit between Matterport and Geo CV. That could be a deal breaker. Too many unknowns for me right now. @ahojman. I like GeoCV too and also wouldn't pay more than I am paying Matterport now. If you want to win the market in any business its quite simple. Give a little more for a little less. It's that simple. The WGAN 360º Camera Loaner Program include a GeoCV Kit. The Question of the Day is about the 3D Tour Viewing Experience only: not about shooting, post production, photos, etc. - just the viewing experience. P.S. Got to run out the door for social plans with my wife ... Thanks for your patience. Experience must be end to end, if asking existing MSPs. I like GEO CV as it seems smoother, crisper and transitions well graded. But I need more info. However, my clients like a click ‘n’ play sit back video tour. Does GeoCv do auto play video walkthrough/slideshow? Does it work in U.K. ? Do they ship to U.K.? What is render time from scan to completion? What have been max size spaces scanned by this so far? When does it fall over? Do hi res images export? What is total pack up size and weight? Is it powered and controlled by an app? I got very vague answers back when Inasked Anton and got passed to an external sales hire who just replied ‘no UK shipment yet’. Experience is end-to-end; from sales to delivery and support. Totally agree. At the same time getting to it is a process. Something might not be available Day 1, but customers could already get huge value from what is available. And then get more and more value over time. We're not targeting everyone now, we're targeting early adopters. We do not ship outside of the US yet, but we do plan to scale internationally sooner rather than later. We provide pricing to inquiries from the US after qualification since pricing might change for international markets plus we might be offering new plans in the future when we are ready to scale globally. GeoCV 3D Tours are processed and are available for viewing, editing and sharing in several hours after uploading. Turnaround time depends on number of 360° panoramas, speed is approximately 20 panoramas per hour. Floor plans are delivered in 24 hours after 3D tours are processed. What have been max size spaces scanned by this so far? When does it fall over? We have not yet reached this limit But in general we do not recommend scanning spaces larger than 10,000 - 20,000 sqft. Yes, ability to extract unlimited print-resolution HDR photos is coming soon. If we talk about data size during capturing, which is then uploaded to GeoCV Cloud, it is currently about 70 MB per panorama, thus several GB per tour. If we talk about data downloaded during viewing, only a few MB is downloaded before GeoCV Viewer starts. Then it depends on how comprehensively does user walk through the space, on average it's 30 MB for several minutes of detailed viewing of the space. GeoCV Viewer has an optimized data management system, which minimizes amount of data to be downloaded before interaction is possible, and then loads data on-demand depending on many parameters such as what pano are you in, what direction are you looking at, what is the resolution of the viewer, is it mobile or desktop, etc. We have particular plans to continue improving it even further. There is no limit to perfection. The numbers will change with the roll-out of HD capturing, but great UX has been always our priority. Yes, capturing is done via GeoCV App, which comes pre-installed on the smartphone included in GeoCV Scanner Kit. The app can be automatically regularly updated. I love GeoCV's 3D Minimap. I'm a huge fan of minimaps and feel that dollhouse / floorplan mode are great, but aren't the preferred way to jump from place to place. MPEmbed has a 2D Minimap that can enhance Matterport Spaces, and I think it really offers massive value. I think that GeoCV's 3D Minimap is a triumph for differentiating them. It's very attractive and helps to add even more immersion as it provides a secondary context to how the user's position relates within the space in a super tangible manner. @AntonYakubenko - very clear answers thank you. After reviewing your pricing plan yesterday, I just don't see how an MSP with 2 cameras can justify buying your system right now. I've turned it over in my head and I just don't see how it works. If I was booked solid with MP scans everyday: why would I jump ship? If I am a moderately busy (my scenario) with MP scans: how could I justify the cost, unless my plan was to offer super cheap GeoCV scans? Anyone who has figured an avenue for established MSPs to make a case for this substantial investment, please share! For me, the only scenario is to drop MP cold and switch 100%, but as someone with a sales background I don't like the idea of dropping THE namebrand for an upstart product that no one has heard of. @Expertise I agree. GeoCV may be a better alternative to Matterport, but right now I have to wait and see. Matterport has issues but it is a proven product that works well and my clients love it. There are still too many unknowns with GeoCv to make a switch. I hope to borrow one of their systems from Dan when more of their features are rolled out to do a comparison based on my needs. I'm also concerned about their pricing. It seems a little high right now during the beta testing phase so I would need to know what it will be when fully implemented. After reviewing your pricing plan yesterday, I just don't see how an MSP with 2 cameras can justify buying your system right now. I'd be happy to go through my calculations on a call if you're interested. Well, it's an opportunity to differentiate yourself and be the first and hopefully then the most successful in your market. 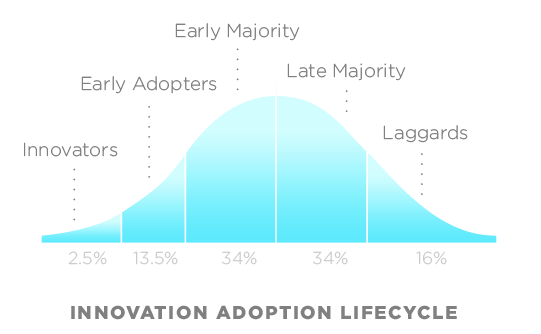 We're not pushing anyone, it's totally up to each one to decide where they are in diffusion of innovations. We're targeting innovators and some of early adopters at the moment. For me it’s got hallmarks of switching from Android to iPhone. Functionality aside it was all about UI amd UX and geocv wins. It’s not necessarily a price war for camera owners but what sells more when you go to town.